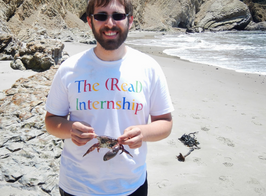 For today's post, Meet Gerald, an intern on the Resource Economy Management team. What I most like about Google: Working with the brightest minds on the hardest problems in the world---and the food. I knew I wanted to intern somewhere where I could improve the lives of millions of people. Google is the only company that combines industry-leading tools with global scale. Here, one small change to a process changes the way the world works, plays, and learns. When I found out I’d be working on the implementation of novel frameworks for infrastructure resource allocation, I knew this internship would be like no other. I still can’t appreciate the sheer breadth of Google resources and how they “keep the lights on” for all the various products and services. Google taught me to think big. Even a seemingly relatively easy problem---like calculating the price of a processor core--requires massive precision and ongoing automation, given the scale and complexity of the fleet. Thinking in terms of what scripts I could write to automate the work was a completely new experience. The effort pays off immediately. My project was to create new metrics to monitor resource consumption. This required combing through hundreds of data sources and transforming them into something meaningful. Once I figured out the equations and sources I needed, I wrote scripts to run the queries and present the information -- hopefully this will be in use for long after I finish my internship. 3. What is the most interesting/exciting thing that you have been able to do as a Google intern--your “Magic Moment”? I spent a few weeks planning and co-hosting a grassroots game of Intern Assassins. Almost 250 interns played in a five week game, with the final showdown between the top two kill leaders brought the game to a close in the middle of a micro-kitchen. The game results and some data were presented at the weekly TGIF meeting by Larry and Sergey in front of nearly 40000 Googlers. During the presentation, SVP of Knowledge, Alan Eustace, surprised the entire audience by sneaking on stage with a giant spoon and comically “assassinating” the co-founder live on stage. I’m proud and excited to be a second-year Google Student Ambassador at my university. 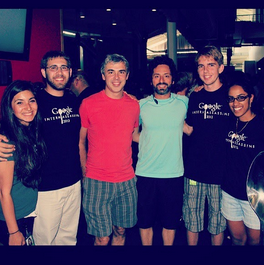 It is an amazing honor to represent Google products and share their magic with my classmates. One of my favorite moments is when I help someone save time, make the grade, or create memories by solving problems with amazing Google services like Hangouts or Docs. I also sit in Student Government and on the College of Engineering Advisory Board. Above all, I serve my university community by working in the University of Miami Office of Emergency Management. Incorporating the technical side of incident management into my job helps elevate the work we do as a department to keep students, faculty, and staff safe. This summer has been all about personal growth and development. Being at Google has pushed me to elevate my performance and do more than I ever thought I could. For my project, I learned how to program in Python and SQL and inspired me to keep learning! Google also taught me to extensively document and exhaustively validate all of my work. When you work with the operating expense of a company the size and scale of Google, dropping a negative or doubling a variable is cataclysmic. Learning to make my work clear, maintainable, and verifiable is a great takeaway for any work at school or the office. Embrace a healthy skepticism of what’s possible and how to do it. 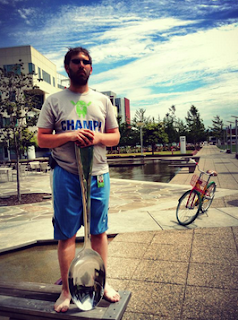 The best ideas at Google come from the bottom-up, including from interns! It’s important to challenge the status quo and let your quantifiable results do the talking. And when you do climb the mountain, make a change, and save the world, remember there is always more you can do. Toasted coconut cashews and coconut water! (Can you tell I like coconuts?) Oh, and dark chocolate-covered almonds, cranberry-pistachio trail mix, and pom-blueberry juice. :) Wait, wait, lemon hummus, sweet potato chips, and peach-infused water, too. Okay, let’s be honest- I like everything in the micro-kitchens. Google Interns are located at offices all across the globe, and represent a broad diversity of backgrounds, concentrations and interests. Inspired by Steven Colbert’s Better Know a District, we’re bringing to you “Better Know an Intern!” The series will introduce you to our interns across the globe, and will get you the scoop on the impactful projects they work on, their interests and passions, and what it’s really like to intern at Google straight from the source.